With the Petzl NAO + 750 lumens of power, NAO + sets the standard for challenging night trail runners! It is intelligent, programmable, and entirely devoted to your personal performance. 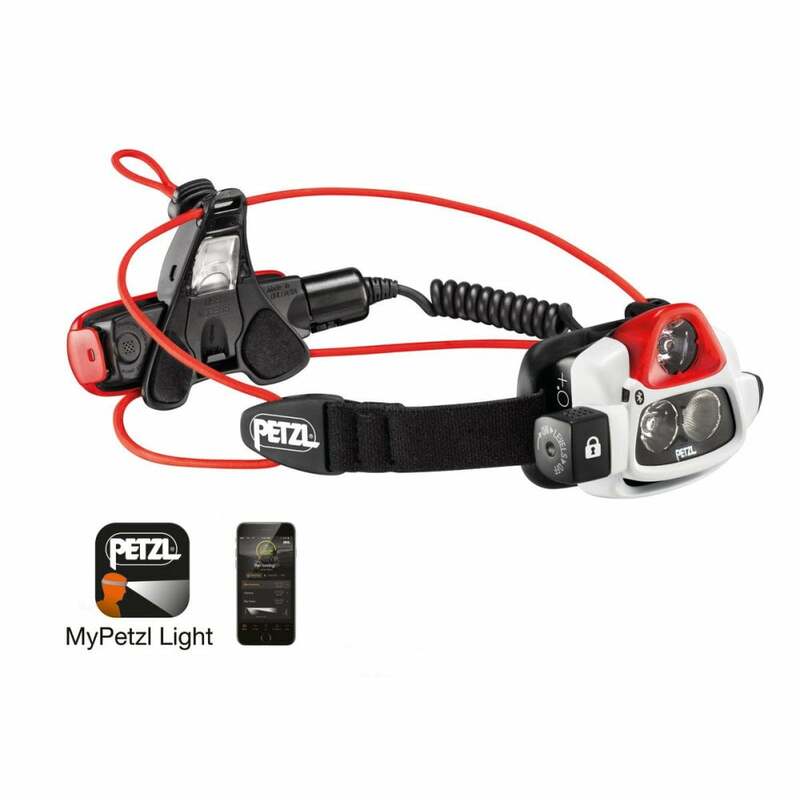 Thanks to the MyPetzl Light mobile app, runners can consult their smartphone or tablet in real time to check remaining burn time and adjust headlamp performance accordingly. Runners simply download the profiles provided or create their own personalised and tailored ones. During your run, with Reactive Lighting technology, Petzl NAO + analyzes ambient light and instantly adjusts the brightness to the needs of the athlete. With energy optimised and manipulations reduced to a minimum, the ultra runner can concentrate on the the run itself! Accessory belt kit for NAO allows the rechargeable battery to be moved to the belt to reduce the weight worn on the head, or to keep it warm in winter.